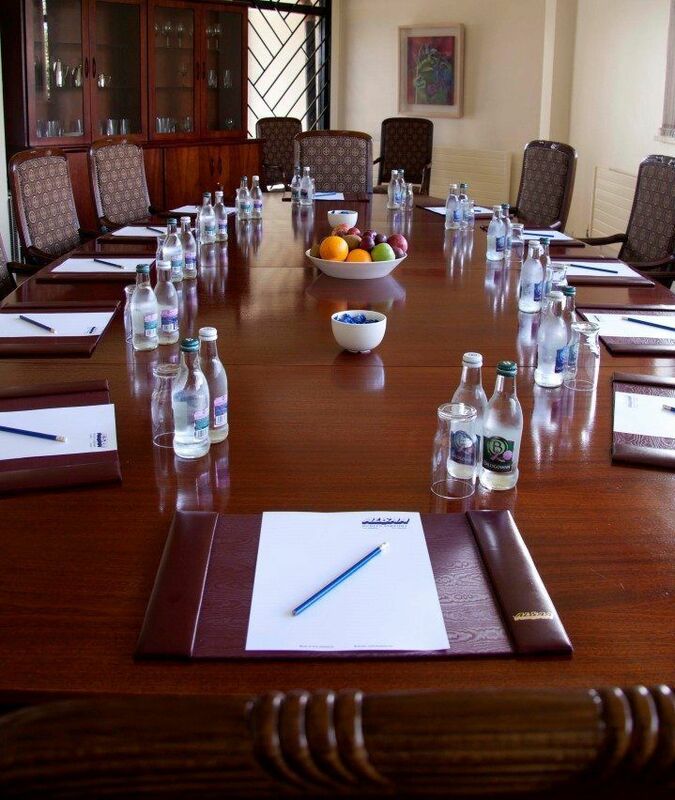 Why not host your next meeting or conference at ALSAA? The ALSAA complex holds four separate conference rooms varying in size to accommodate different group sizes and needs. Within each of these rooms there are four different event set-up styles to choose from to insure your meeting is laid out to your requirements, we offer Theatre Style, Classroom, Boardroom and U-shape. The rooms are available for full days, half days and evenings. We also offer a range of business centre services to insure all your needs are met without issue. With the internet becoming such an important tool in business we are now offering FREE high speed WiFi to all of our customers along with free whiteboards, flip charts and projectors(on request). With ALSAA's great facilities, location, helpful staff and over 200 free car parking spaces why not come and do business at ALSAA! The Banqueting Room is the largest room available at ALSAA. Situated on the top floor of the ALSAA complex it makes the ideal location to hold anything from a meeting for union groups, conference, exam, seminar, staff training or what ever your needs may be. The Tailteann Room is the second largest room available at ALSAA. Situated on the first floor of the ALSAA complex this slightly more intimate room makes for a great location for any form of meeting, conference, exam, seminar, staff training or again what ever your needs maybe. The Gold Room is situated on the first floor of the ALSAA complex, this extremely intimate and well furnished room is a brilliant option for anyone looking to hold a smaller meeting, conference or staff training session. Why not impress your staff or clients with the ALSAA Gold Room. The Silver Room is situated on the first floor of the ALSAA complex, this comfortable and nicely furnished room makes for a great option for anybody looking to hold a meeting, conference, exam, seminar, staff training or what ever your needs maybe. Although the silver room has a maximum capacity of 30 people we still offer all four event set-up styles. €13 per delegate for room hire only (for 10+ people).